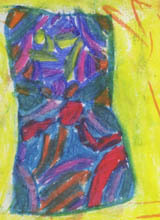 Cool Designs, T Shirt Designs And Painting Ideas From Designing Kids. Cool Designs from Designing Kids. 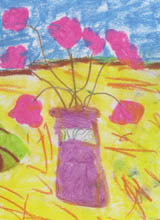 Cool designs, T shirt designs and great painting ideas flow from the brushes of these young artists. 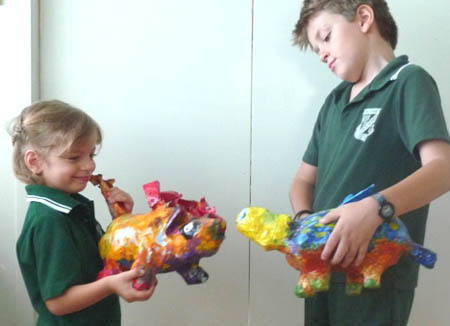 From the moment they could hold a pencil, paintbrush or glue-stick these kids have constructed paper mache sculptures, cool drawings, paintings and art textiles for their own enjoyment. 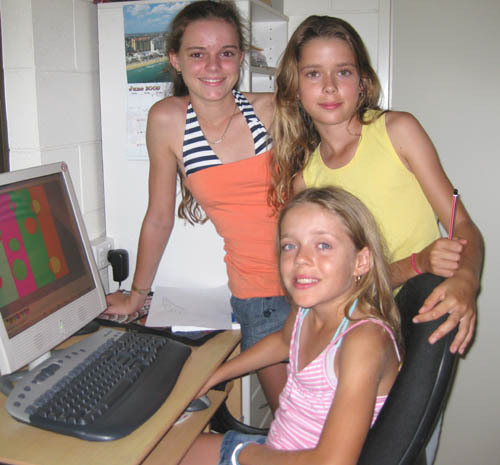 Lucinda, Jasmin and Olivia are my grandchildren and I admit to being biased when it comes to admiring their attitude and and willingness to "have a go" at a variety of creative projects. They have recently opened their own on-line Zazzle store, under my supervision, of course. Want to design your own shirt? See some of their exciting products here. 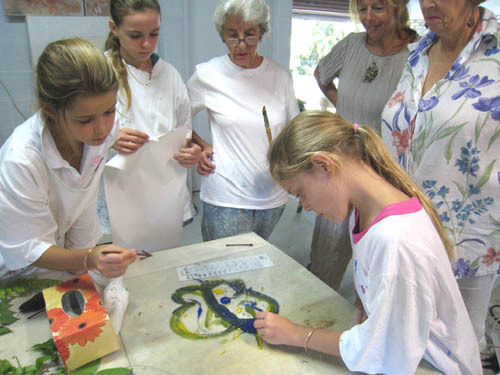 The girls are serious about learning all they can about aspects of art processes. Their colourful paintings, collage ideas and spontaneous drawings are the result of an uninhibited approach and a confidence that, if they give a project their best effort, it usually turns out well. If not, they can always start again! 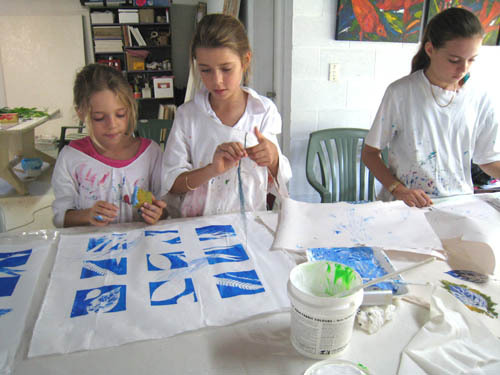 Here they try their hand at screen-printing and block printing with fabric inks. 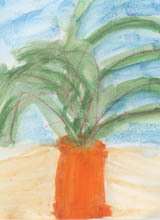 ...and mono-prints, developed from butterfly drawings. Photography is a way of researching subjects and developing ideas. I think the ideas shown on the right may grow and become T shirt designs or perhaps a mouse pad or gift cards. The girls make good use of my camera when they are visiting! Notice how they play, photograph what they have been doing, then use these ideas for future designs. An example is where they have picked flowers and played with arranging them - building a "dirt castle" instead of a sand castle. From that idea they could design notepaper, mouse pads, even fabric or wallpaper. 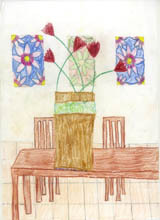 The flowers around the edge of a piece of paper (on right of page) seem to invite a message, don't you think? What would you write? 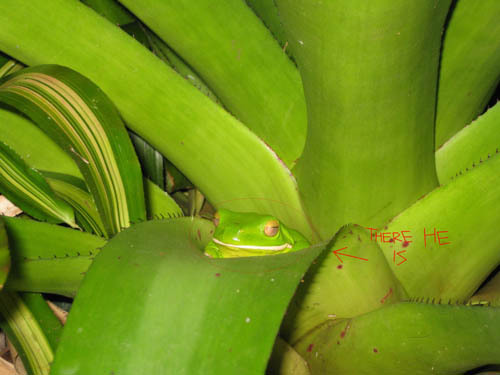 This green tree frog, which Lucinda photographed near my front door, looks so cute. He is already on a Zazzle T shirt. If you would like to design your own shirt it's quite easy - just follow directions on the Zazzle site. Then there are the computer generated images. Aren't they cool designs? Which one do you fancy? You could have the design applied to a mug, a T shirt, a mouse-pad - even to a jacket for your favourite pooch! 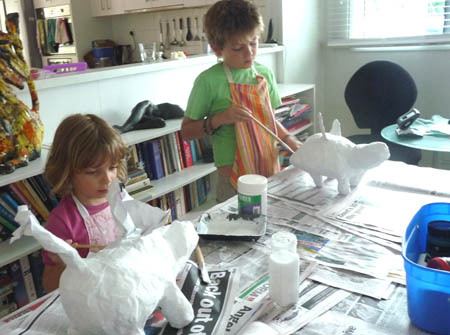 And now their young cousins join the creative team with their paper mache sculpture of Princess the Flying Dog and of Max the Flying Turtle. The sky's the limit! Because of recent world-wise privacy regulations (GDPR) we no longer invite children to send us images of their artwork. But I am sure that parents and teachers will be displaying them on walls and fridges.